Dogtas is assertive in the bedding sector , too! Anasayfa / Mattresses / Dogtas is assertive in the bedding sector , too! Carrying its specialty in the furniture field tothe bedding field, Dogtas maintains its place among the leading bedding brands with each innovative bedding product. Dogtas has 18 different bedding models, each being more special than the other. In these models, it is used such fabrics that will make you relieved as soon as you lie down. The beds contain many details ranging from Hungarian goose feathers to lavender- scented capsules, from valuable wool of Tibet goats to antibacterial and anti-mosquito featured materials. Also the unique fabrics introduced to our life by nanotechnology as well as Visco, Latex, Bonnel Coil, Pocket Spring coil system which even astronauts travelling through space cannot give up have been brought together in new Dogtas Bedding collection and each model is equipped with features that will prepare you for the day with pleasure. Don’t rush to make a decision! The best thing to relieve your body taking up all struggles of life is comfortable sleep… The most important thing required for comfortable sleep is a bed fitting your body, which are manufactured using quality material and technology… Nevertheless bed selection is a though subject. 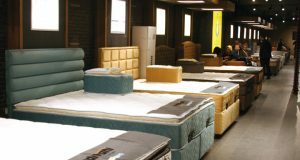 Dogtas grants you 45-day return period in order for you to make sure that the bed you have purchased is suitable for your requirements and life style. Thanks to this feature showing the difference of Dogtas Bedding than the similar brands, you will be at ease at the comfort of your bed. Dogtas beds will make you feel special! Having known that bed selection has a great impact on the human health and all consumers deserve good, sound and quality beds, Dogtas manufactures beds appealing to every taste and budget. Dogtas does not compromise on quality even in case of most affordable models and brings together such features to be considered a first in the world regarding super class bed options. Environmental-friendly and natural Organic Cotton, a fabric used in Dogtas beds, does not contain any hazardous chemical substances on human health and nature. The fact that the beds where a person spends a third of his life is made out of natural materials is extremely important. Our body resistance decreases to minimum in sleeping state. Sleeping in a bed stuffed with natural fibers will ensure that a third of our life is to be spent away from hazardous substances. Dogtas Bedding manufactures organic cotton thread at the most secure conditions from the field to the user. Global Organic Textiles Standard (GOTS) and Organic Exchange 100 Standard certified beds give a silky touch owing to their soft fabrics. No microbe and bacteria in Dogtas Beds! Dogtas Beds creates an ideal sleeping environment for the consumers with their antibacterial features as well. The bed and bed fabric, the most ideal medium for the growth of microbes and bacteria that can reproduce easily under favorable conditions, are under continuous protection against the invasion of bacteria and microbes thanks to “Sanitized” material developed by Dogtas specially. It is proven with research results that Sanitized is effective against bacteria, fungus and house mites. This fabric also prevents the ugly odors and appearances caused by microorganisms. OECD 404-406 certified Sanitized removes the mould and fungus which cause the fabric to corrode. Another key to comfortable sleep is to keep the body temperature at appropriate levels. The average body temperature is 37 C degrees, while the skin temperature is 32 C degrees. During sleeping, the temperature decreases down a little bit and changes between 28 and 30 C degrees. Thanks to “thermal micro capsules” available in Dogtas Bedding fabrics, the body temperature is balanced. Its environmental-friendly and special breathable texture avoids perspiration. In Smellwell technique developed by Dogtas specially in order for beds to smell as nice as fruit gardens and wild flowers, a special fragrance is placed into micro capsules and they are applied on the fibers forming the fabric during the production. These wellscented micro capsules holding on the fabric spread a unique odor with the influence of pressure and friction while you are using your bed. Melamine capsules containing volatile oil reveals the fragrance thanks as they are made of easy-breakable material. So the freshness of lavender gardens pervade in your room intensely and swiftly and the effect of fragrance is long-lasting. Smellwell both adds value to your bed and gives a feeling of serenity replacing possible disturbing odors. With Dogtas Bedding, the mosquitoes are not matter now! “Anti-Mosquito” which is effective against mosquitoes threatening human life with hundreds of viruses they carry especially in hot climates and summer is a diligently developed material. Themosquitoes may not approach your bed owing to this special application. Therefore your health is protected as well as your sleep is not interrupted. This fabric that has also anti-mite feature provides protection against the home mites as well. Preventing bad odor formation with antibacterial action, this technology creates a real hygiene environment in your bed. The Tencel branded material that is breathable due to its naturality is a natural cellulosic fiber manufactured from the essence of eucalyptus tree. Tencel also known as high-resistant, cellulosic fiber especially recommended for sensitive skins is soft as silk and cool as linen. The fabric with refreshing action is highly absorbable and it doesnot cause disturbance in case of perspiration. Moreover it maintains its color and gleam as the very first day even after a number of washing.Another indispensable feature of DogtasBeds is their water-repellent quality. Thanks to this feature developed specially for the families having children,the liquids that have poured down the bed are repelled on the bed surfacewithout reaching to filling material. This water-repellent quality which is also effective perspiration stains that may form as the bed is used ensures that your bed stays as clean as ever for long years. Water-repellent beds are particularly preferred by those living in hot and humid climates and families having children. Milky Spring Foam beds provide incredible comfort coming from milk! Dogtas Milky Spring Foam beds developed through harmonious combination of the fabric made up of milk fiber and spring system with foam sponge, and latex sponge ensures comfortable and enjoyable sleep. The foam sponges in the spring form, which are considered as the summit attained in today’s bedding technology, are used in the beds. The foam springs bringing together all advantages of foam and spring in one material confirms the body’s form and moves together with the user. Furthermore the foam springs allow the bed to breath, thereby ensuring the moisture balance. Foam springs prepared at different hardness according to the needs and demands of the consumers are reason for preference due to their durability for long years. Milky Spring Foam designed exploiting the latest technologies inbedding world provides ideal spinalsupport and increases sleep quality. Another most important feature of Milky Spring Foam differentiating it from other beds is the use of bedding fabric named Milky manufactured from milk yarn, which bears the features of both synthetic and natural fibers and . The fiber of natural, moisture-absorbent and antibacterial Milky bedding fabric that is washable at 30 C degrees contains also 18 amino acids that are good for human health as well protect and nourish the skin. Dogtas offers superior quality and comfort in Coconut Latex developed with the unique combination of bamboo fabric, pocket spring system, camel wool, coconut fiber and latex sponge. Camel wool used in Dogtas Beds is padded in specially produced bed fabrics and due to its soft, shining and bulky texture, it keeps cool in summer and warm in winter. The coconut fibers used in the beds also ensure proper air circulation and keep the body temperature balanced due to its temperature retaining and moisture spraying feature, which create convenient sleeping environment for especially babies. As coconut fibers, a natural hypo-allergenic material, is suitable for both warm and cold climate conditions, it does not damage human health and environment according to Oeko-Teks 100. 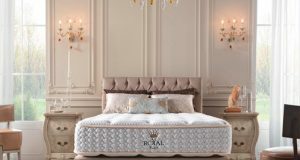 The bed designed and manufactured by Dogtas for the first time in Turkey gives a freshness feeling for a long time thanks to “smellwell” features and capsules giving off lovely smell. With specially designed and applied red knitted fabric, Love Bed ensures pleasing and relaxing sleep, being different from usual beds. With antistress feature applied on the fabric, it regulates the sleeping pattern and increased sleeping quality. Antibacterial featured Love Bed prevents bad odors caused by micro organisms and formation of fungus and molds causing the fabric to corrode, thus prolonging the service life of fabric. With the use of high density, 7 cm plate and rolled sponge inside the bed for the body ergonomics, it is provided extra comfort for the couples. Dogtas developed Probiotic micro capsule technology that prevents asthma and allergy for Birdy baby beds. Country beds are air-permeable thanks to special border fabric. Dogtas, making difference with custommade designs, prevents asthma and allergy via Probiotic technology developed for Birdy baby beds. Probiotic is a special technology based on the integration of microcapsules with the fabric. Inactive microcapsules containing Probiotic are natural micro organisms. The microcapsules become active within two weeks with the pressure and friction applied by the body on the bed and the probiotic content is released. The activate probiotic content removes the dust mites causing allergy and asthma. On the other hand country baby beds provide air permeability thanks to the use of space fabric combined with the bed fabric in the border. It is used 2 cm latex sponge on one side of the pocket spring used in the beds and 3 cm 60 DNS visco sponge on the other side. Country designed specifically for ages 0 – 6 is intended for double-sided use. It is used antibacterial knitted fabric on the latex and visco surfaces of the beds, which are appropriate for use by babies, aged 0-3 and 3-6, respectively. 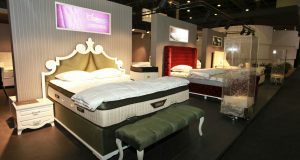 Sonraki: Many reasons why to prefer Dr. Otto Mattress? 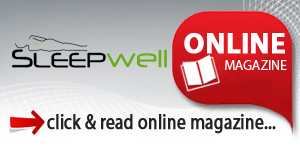 The counting down for Sleep Well Expo 2019!